In the early 1960s, successful American businessman living in the Philippines, Joseph Rafael McMicking and his wife Mercedes Zobel sent one of their trusted employees on a mission. Fredy Melian who, so the story goes, was already on his way to Spain courtesy of a free plane ticket awarded to him in recognition of his loyalty to SwissAir, was charged with the task of finding a suitable area of land close to the Mediterranean on which the couple could develop a luxury resort. Melian discovered a 1,800 hectare piece of land that stretched along the Mediterranean coast for at least one kilometre, was populated by just a few small farms, surrounded by water, had easy access to airports (being located just 25km from Gibraltar) and was meteorologically protected by the Sierra Almenara mountain range. McMicking and his two nephews, Jamie and Enrique Zobel arrived not long after and, impressed by the area, initially purchased Finca Sotogrande and then shortly afterwards Finca Paniagua, to develop for their own use, along with Cortijo Valderrama and Cortijo Los Canos. After much deliberation, he then finally purchased El Conchudo instead of Guadalquiton, which was a militarised area at the time. McMicking envisaged a luxury resort in a privileged location such as this. He then sold off individual plots to wealthy families and entrusted the management of what became Urbanización Sotogrande to Carmen Guerrendiain, a well-connected lady who had previously worked for the Madrid Hilton. In 1963 McMicking contracted renowned golf course architect, Robert Trent Jones, to design what was to become the Real Club de Golf Sotogrande but which is now affectionately known as the ‘old course’. Continuing the sporting theme, La Playa polo club was constructed in 1965. Polo has played a very important role in maintaining the respected position of Sotogrande, a favourite with royals, celebrities and the very wealthy. There are now nine polo grounds that host The Gold Cup and The Silver Cup, and welcome an average of 45,000 spectators through their gates each year. Also in the same year, the first hotel, Tenis Hotel Sotogrande was designed by Madrileño architect José Antonio Corrales Gutierrez. This was to be the accommodation where prospective purchasers of plots of lands would stay while viewing the options and closing the deal. 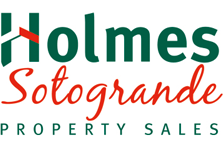 As the target market for Sotogrande was wealthy Spaniards, it was important for McMicking to forge links with Spanish professionals at every possible turn. In 1974, Robert Trent Jones was again consulted to design and create a second golf course. Originally known as Nuevo Sotogrande, this course was renamed in 1981 as Las Aves. 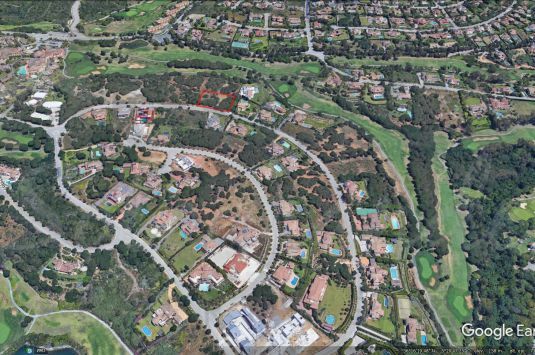 One of the first people to buy a plot of land from McMicking and build a house in Urbanización Sotogrande, Jaime Ortiz-Patiño, became the next owner of the course when he bought it in 1984. He hired Robert Trent Jones to redesign the course and make it far more challenging and suitable for hosting international tournaments. The course was renamed Valderrama, after the finca that originally stood on the land, and became world famous hosting the Volvo Masters between 1986 and 1996, and then the prestigious Ryder Cup in 1997. 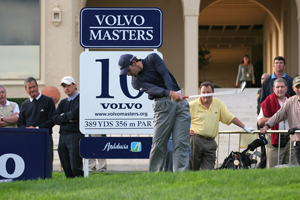 More recently the 2002 Volvo Masters and American Express World Golf Championships have been played there. 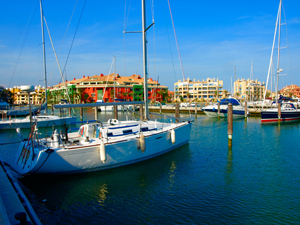 The marina or Puerto Deportivo Sotogrande was officially opened in 1987 and has been the focus of more recent building activity. Three more golf courses have been created nearby including Almenara, La Reserva and La Cañada, and luxury hotels built to accommodate visitors: Hotel Almenara, Hotel Sotogrande and Hotel Club Maritimo Sotogrande. A riding school, two beach clubs, two tennis and padel clubs and a watersports school provide yet more activities for residents and visitors alike. Sotogrande was the first architecturally planned and structured luxury resort to be built on the Costa del Sol, and predates other similar European resorts, such as Val do Lobo in the Algarve. Its low-density suburban feel with wide tree-lined avenues and boulevards appeals to Spanish and international wealthy families who reside there all year round, or just visit in the summer. The villas and estates are surrounded by cork oaks, pine trees and golf courses, plus some enjoy amazing sea and estuary views. The Estuary and large expanse of surrounding marshland has now been designated an Andalusian National Park, Wildlife and Nature reserve and is a favourite stop off for migrating birds flying between Europe and Africa.